Can you believe Christmas is basically a month away? Craziness. I'm sure some of you have already gotten your shopping well under way, but if you're looking for ideas, apparently this week marks the launch of holiday gift guide talk on my blog (see previous post). 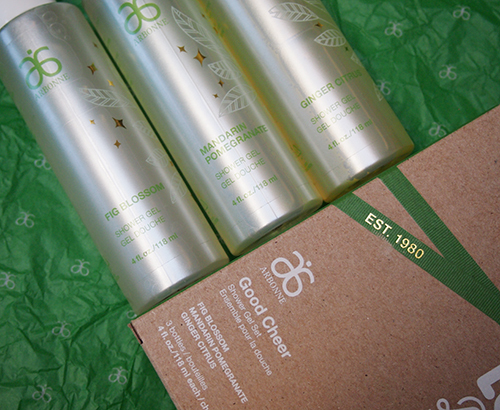 Arbonne is another company that has some really cute gift sets that are sure to delight those on your shopping lists -- especially if you're looking for products made with natural ingredients. I have three to share with you today, each of which comes neatly packaged in festive boxes. The Good Cheer Shower Gel Set ($50 CAD) is perfect for anyone who loves a nice bath or shower (... so basically everyone). It comes with three shower gels featuring all-natural scents, each made with a blend of essential oils: Fig Blossom, Mandarin Pomegranate, and Ginger Citrus. These are not thick shower creams but true gels and a little goes a long way. 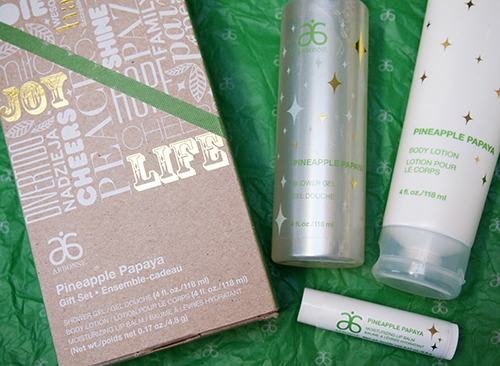 For a gift with a bit more variety, plus a delightful tropical scent, there is the Pineapple Papaya Gift Set ($54 CAD). It comes with a Shower Gel, Body Lotion and Moisturizing Lip Balm. The Shower Gel features mango fruit extract and orange flower extract, while the Body Lotion contains orange peel extract and avocado oil for optimal moisturizing. 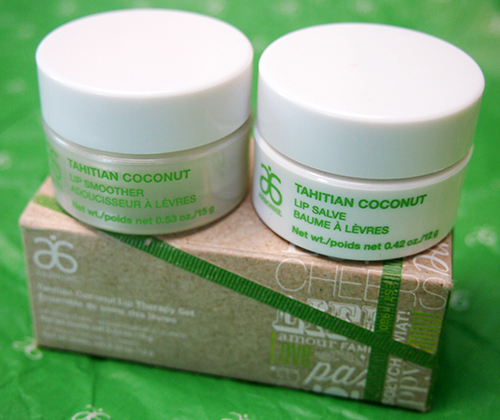 Lastly, the Tahitian Coconut Lip Therapy Set ($58 CAD) would make a great small gift or stocking stuffer (although I realize it's on the expensive side), and is definitely my favourite of the three sets I'm featuring today. I love coconut and these two products will leave lips feeling extra soft, smooth, and hydrated. The Lip Smoother is a very gentle scrub with fine grains to exfoliate dry, flaky skin, and the Lip Salve is a hydrating balm with a slight shine that's not sticky or too glossy. 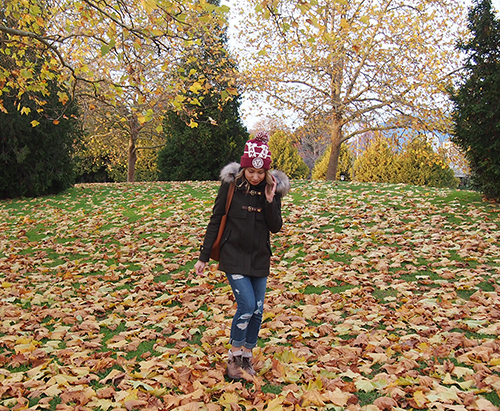 Find all of Arbonne's Holiday 2015 products online. A few weeks ago, I headed out to my first official holiday party of the season, hosted by none other than LUSH Cosmetics. 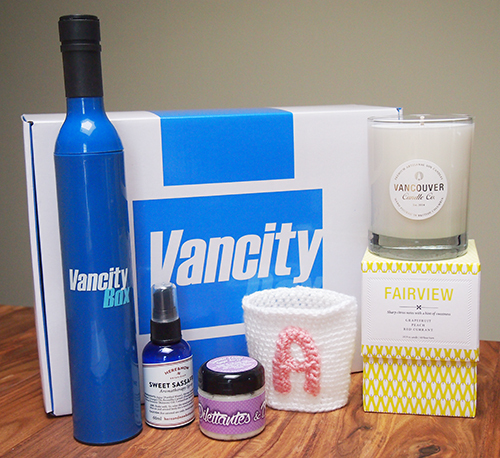 The company always comes out with amazing products that are perfect for gifting and I love seeing what they come up with every year. At the Soap Bar, we got a chance to preview the limited edition holiday soaps: Old Father Time, Snowcake, Reindeer Rock, Baked Alaska, and Yog Nog. I had no idea how detailed and intricate the soap designs are before they are cut. I mean, how amazing is Old Father Time? And Baked Alaska looks like a giant bath bomb on the outside! The LUSH team also had lots of fun activity stations set up for us -- my favourite of which included making our very own bath bombs. Hot baths are, at minimum, a weekly occurrence for me in the winter time and LUSH can do no wrong when it comes to bath products. We also got to see how the fresh face masks are made with a demo for Don't Look At Me (which I have previously reviewed here). It's actually quite an elaborate process but was a great way to see just how fresh all the ingredients are. In addition to Don't Look At Me, I was sent home with a pot of the Cranberry Festive Face Mask, inspired by traditional Christmas ingredients like cranberries and fennel. Cranberries are chock-full of antioxidants so this mask is a great treat for dull and dry winter skin. If you're stumped on what to buy for certain people on your shopping list this year, I feel like you really can't go wrong with a LUSH gift set. I've both given and received them, and there's definitely something for everyone. Secret Santa would obviously be good for a Secret Santa gift exchange (shocker), while 12 Days of Christmas is a fun spin on the whole beauty advent calendar concept. Sometimes I feel a little magpie-ish in that I am attracted to anything sparkly and shiny (case in point: one of my most recent shoe purchases). 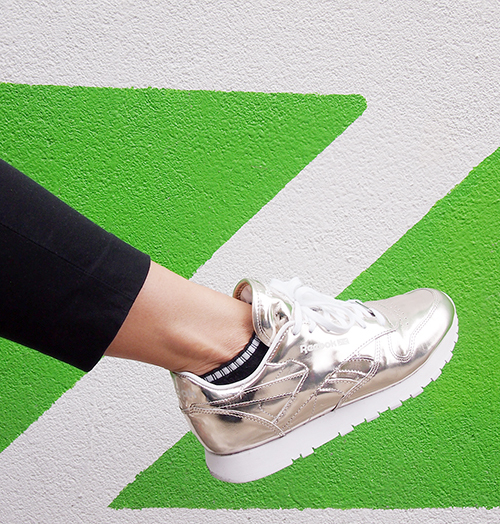 That was exactly the case when I happened upon these gold sneakers at the Sandro boutique. Designed in collaboration with Reebok, they are seriously everything. P.S. 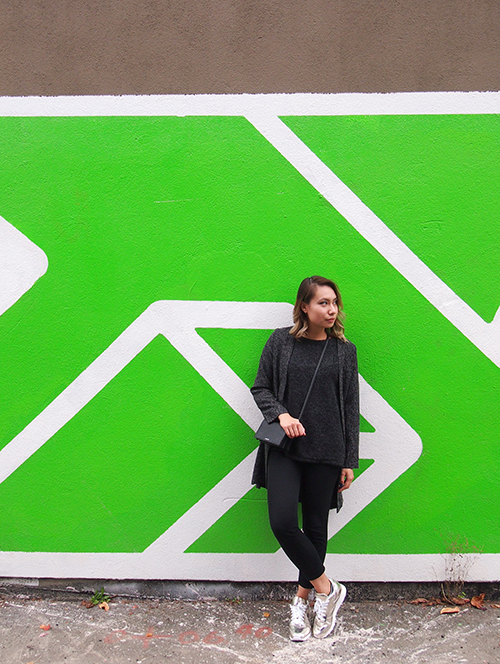 Today's post title comes from one of my favourite songs, "Gold" by Adventure Club (feat. 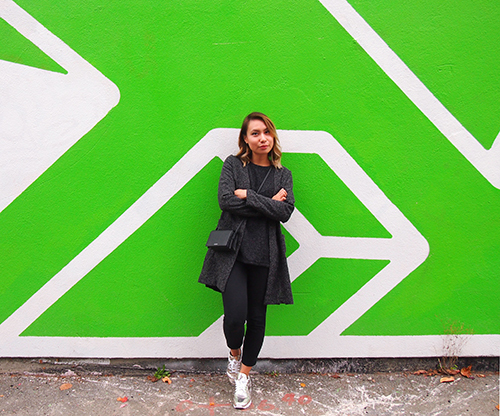 Yuna), which definitely warrants a listen if you've never heard it before! Some of you may recall my "battle of the hairbrushes" post from back in the summer where The Wet Brush emerged victorious. Well, there's a new (to me) hair brush in town... 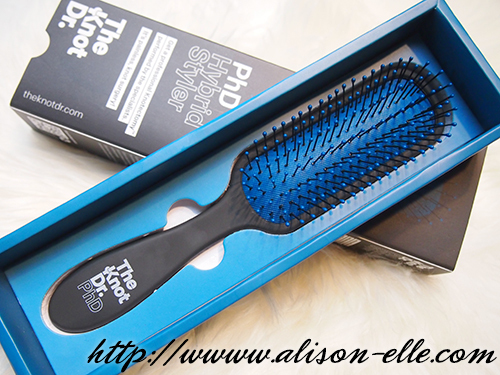 The PhD Hybrid Styler from The Knot Dr. and I really like it! Designed by a professional stylist, The Knot Dr. brushes are made for both salon and personal use and can be used on wet or dry hair. The bristle tips are smooth and rounded so they massage your scalp without poking, and all the components are heat-resistant if you're using your brush with some sort of styling tool. 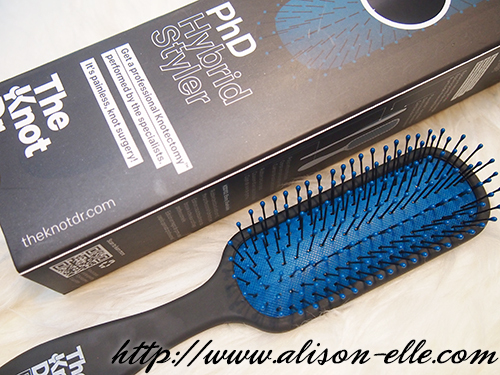 The company kindly set over The PhD Hybrid Styler for me to try out and the first thing that stood out was the cool and thoughtful packaging -- it comes in a slide-out box that's colour-coordinated with the brush inside. I'm a sucker for packaging and if you're like me, then this is almost enough to warrant a purchase. But, of course, what about the actual quality of the hairbrush? Well, after testing it out on some incredibly knotted hair (both wet and dry), I can say that it really does work to detangle without pulling. The brush itself is super light and feels really nice to hold (the handles are ergonomically designed). I also like the slim profile a lot since it takes up less space if you want to throw it in your handbag. And for those of you who like a little oomph in your basic brush, there are a few stylish colour combinations available. Mine is the Ebony Sharkskin which features a rubberized matte black body and teal brush base/tips. 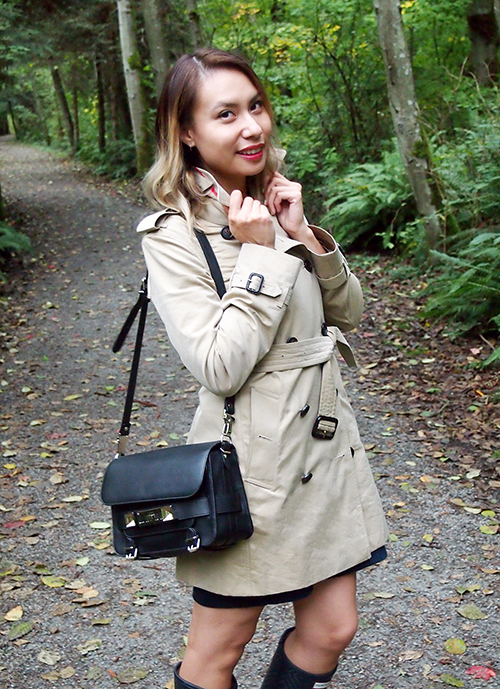 Every year I buy myself a birthday present (last year it was my beloved Proenza Schouler PS11) and this year it was the classic Burberry Kensington Trench Coat. 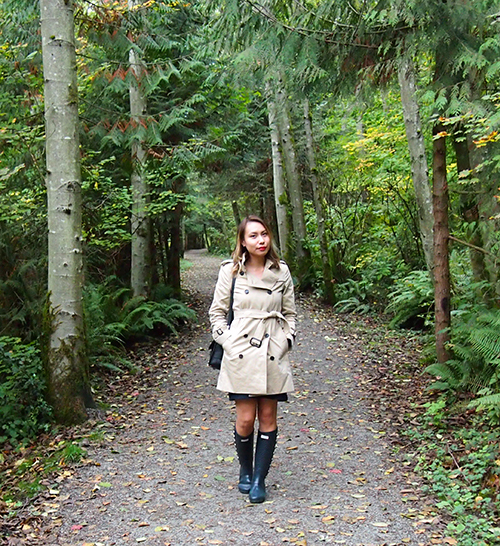 My Aritzia trench coat has gotten a ton of wear over the years (see in 2010 and 2012, just for example) and has been slowly falling apart, so the time had finally come to invest in a coat I knew would be a wardrobe staple. With all of the rain we have been getting lately, it has proven totally worth it. 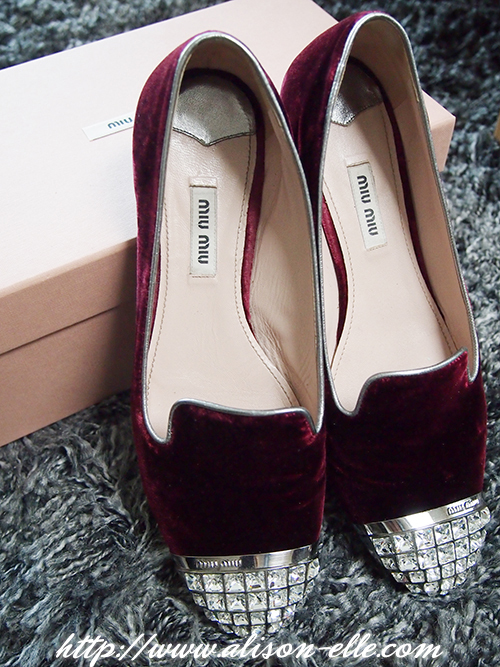 Miu Miu has always been one of my favourite designer brands due to their fun & girly designs, and I have been wanting a pair of Miu Miu shoes for years. It was just a matter of finding a pair that really spoke to me... and now, finally joining my my mini bow bag and St. Cocco bracelet are these amazing crystal embellished velvet loafers. 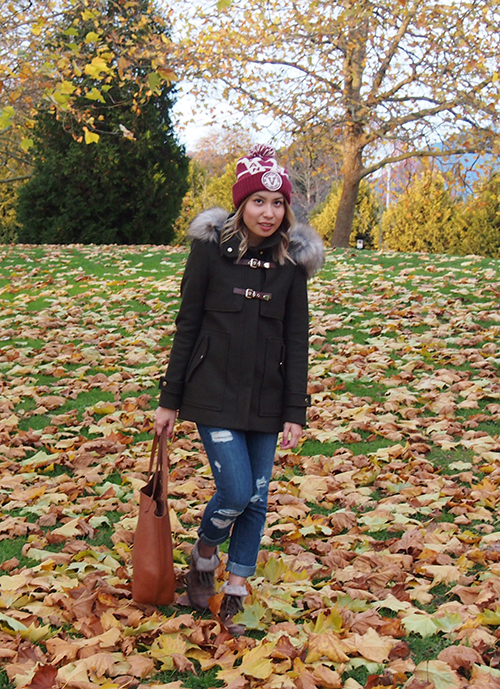 I'm obsessed with the bling (seriously, the funnest), and the maroon velvet both looks and feels incredibly luxe (also available in navy and glitter options). 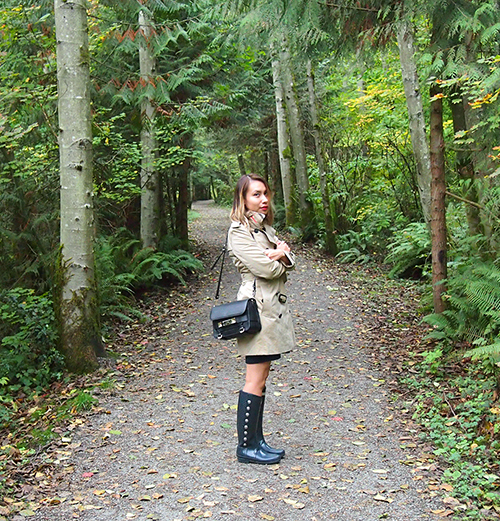 Of course, these aren't necessarily the best shoes for rainy Vancouver but on dry days you can be certain that these have been putting an extra pep in my step. After this look garnered so many compliments, I have become slightly more comfortable with the whole red lip thing (also, not gonna lie, but every time I think about wearing red lipstick, I totally sing that line from Taylor Swift's "Style" in my head). 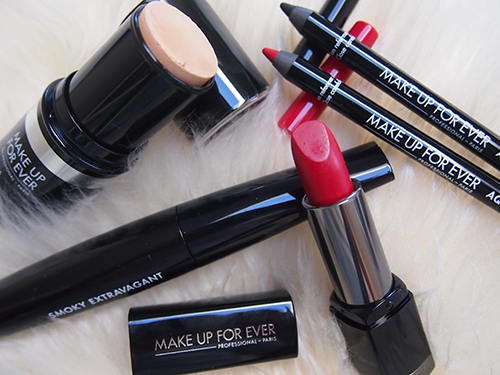 So, since red lips and black liner are makeup bag staples, I decided to do a simple but classic FOTD featuring some products I was sent from MAKE UP FOR EVER. You may recall my feature of MUFE's new Ultra HD Foundation from the summer, but did you know there's also an Ultra HD Invisible Cover Stick Foundation? The Ultra HD Foundation line is specially formulated to be undetectable even under 4K digital technology and while the stick foundations don't come in as many shades as the liquid version, the selection is still very good. I found the formulation a little on the thick side with a fuller coverage that blended well into my skin, and I was also impressed at how good the colour match was. However, this is definitely formulated for those with normal to dry skin because I found it way too much for my oily/combination skin. Even with powder on top, I was a greasy mess after an hour. Yuck. Hopefully MUFE comes out with a demi-matte or matte version for those of us who prefer those finishes. To complete the look, I used the Aqua Eyes Liner in Matte Black and Smoky Extravagant Mascara. The liner is a rich, dark black that doesn't smudge but I did find the texture a bit hard and not as creamy as I like (there was some tugging upon application). The mascara has a great cone-shaped brush for precision application and the formula is good. I'm picky with mascaras since many don't work for me but I have no complaints about this one! When you're doing a bold lip, a good lip liner is key to lock in the colour and keep it looking vibrant throughout the day. 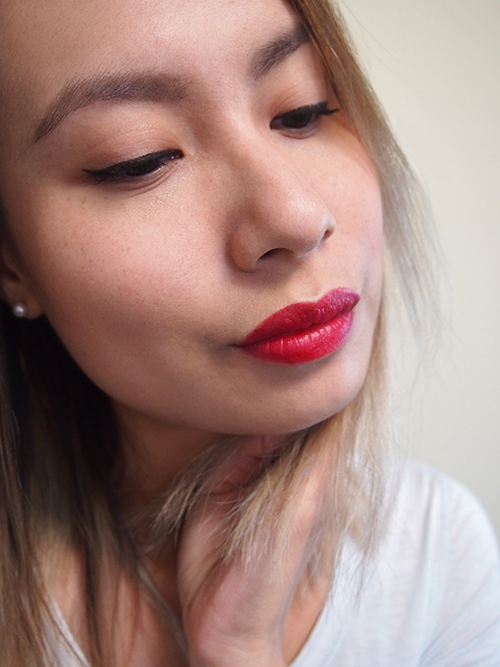 The Aqua Lip Waterproof Lipliner in True Red definitely delivers in this respect. It's super pigmented and stayed on, even when my lipstick (Rouge Artist Intense in Moulin Rouge) wore off after eating.